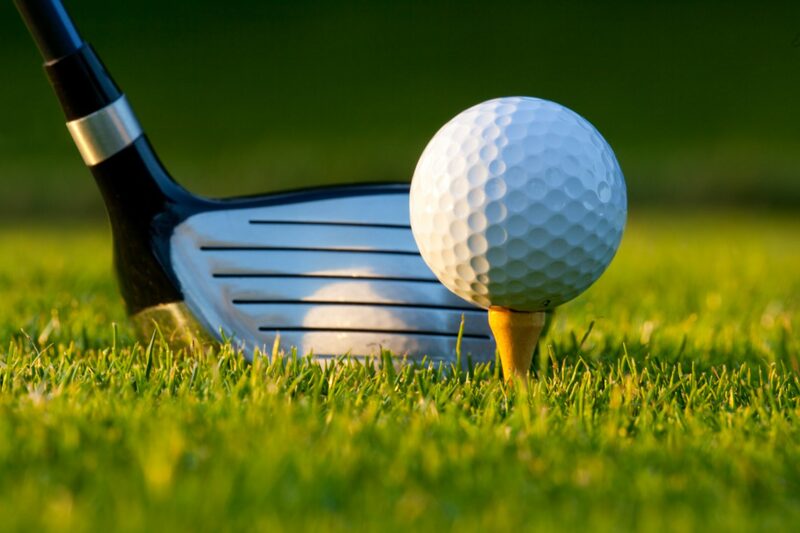 Golf drives the worldwide appeal of Hilton Head Island, a resort destination in South Carolina. 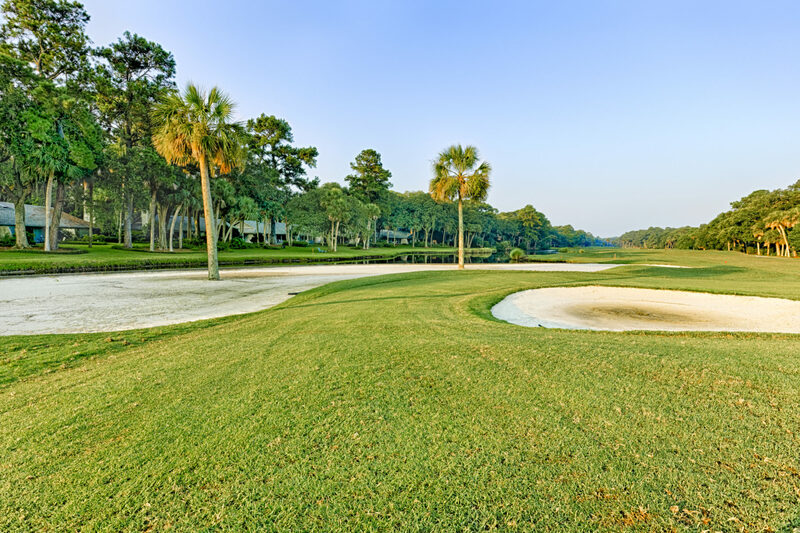 In fact, the Low Country’s semi-tropical scenery, year-round mild temperatures and 30-plus championship courses attract more than 2.5 million visitors a year. Recently, I was one of them. 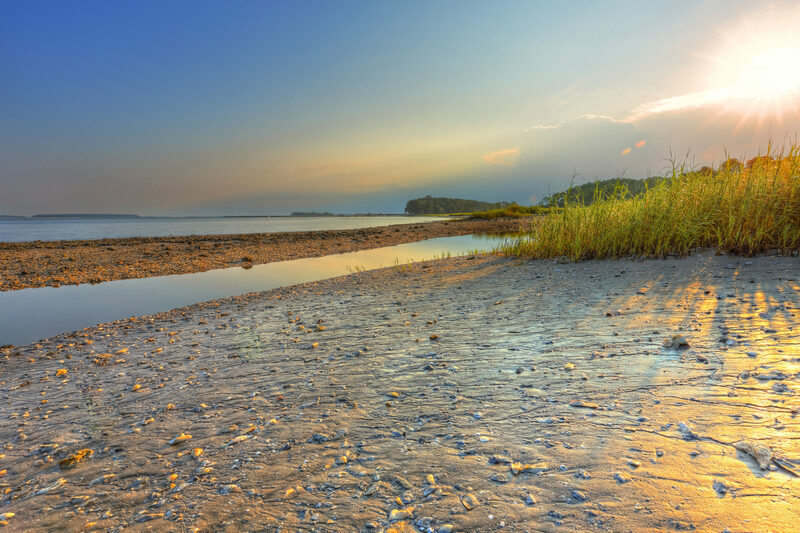 Though a visit to the greens wasn’t part of my initial travel plans, a persistent friend insisted that no trip to South Carolina was complete without at least a golf cart tour to learn the history and sport of Hilton Head Island. So I heeded her advice and spent a beautiful fall morning on “Golf Island” — and I’m glad I took the detour! 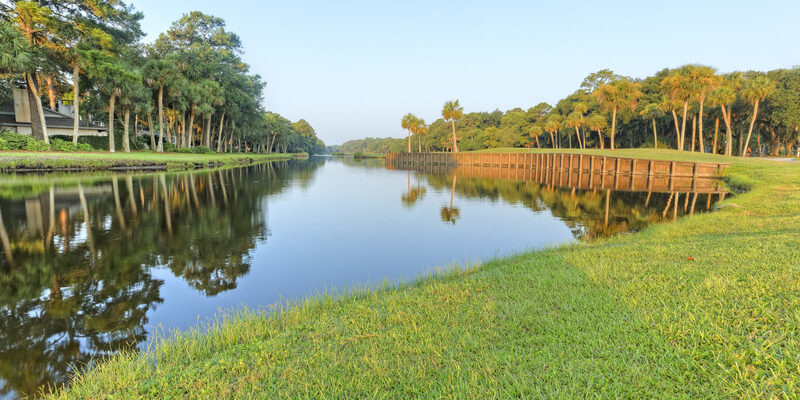 Before jumping into my golf lesson, I learned about the history of Hilton Head Island and how it became a golfer’s paradise. Apparently, European settlers and immigrants first moved to Hilton Head Island in the 1700s and used the fertile land to grow vast cotton crops. Fast forward to the 1950s, when investors looked beyond the island’s valuable timber and eyed its potential for resort development. It was an inarguably wise move, given that the picturesque Low Country scenery is perfectly suited to the game of golf. Once a bridge opened and lassoed the island to the mainland, a resort golf community blossomed. 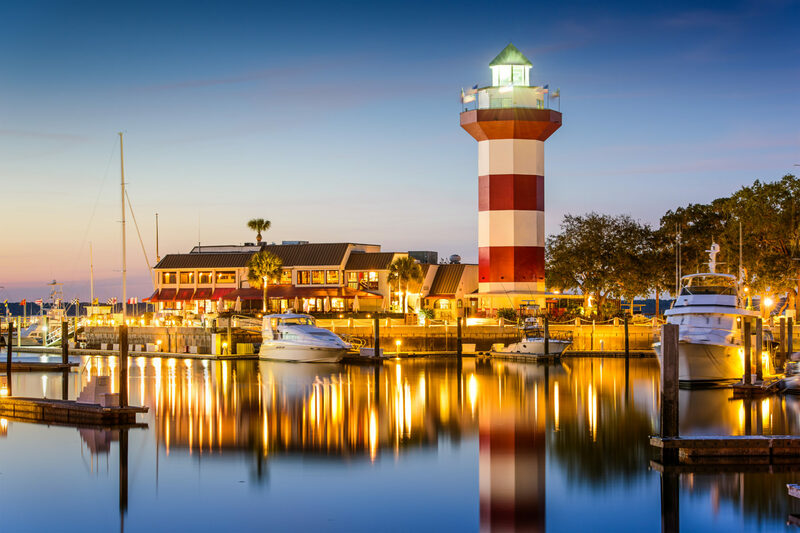 Today, the Low Country boasts more than 30 golf courses — 24 of them on Hilton Head Island — along with a bevy of resorts and homes. My first experience golfing at Hilton Head was on one of the island’s 18 public courses. I was accompanied by a good friend who had played the game in high school. She was a patient teacher, and luckily, she also had a soft spot for mulligans. As a newbie, I felt intimidated by the environment. There was so much to learn — from what to wear to how to bandy golf terms with ease. I’d only achieved a “hole in one” once, on the artificial terrain of a mini-golf course. Let me tell you, putt-putting around a windmill is no comparison to the real thing! But I was there for the authentic Hilton Head experience — to play the game, to enjoy the warm sunshine, and to revel in friendly companionship. My friend and I booked an early tee time, rented clubs (although most players tend to bring their own), a sleeve of balls and a golf cart. Then we set out to experience a true game of golf. I spent most of my first few hours on the golf course learning how to hit the ball with inconsistent accuracy. Actually, simply hitting the ball was my prime concern. I would swing with gusto, only to miss the ball entirely. This happened again and again, leading my pendulum of emotions to oscillate from a nervous giggle to mild annoyance. My friend did her best to coach me. I soon discovered that the secret to improving my swing was focusing on my hips, shoulders, and especially my wrist. I tend to twist my wrist when I swing, which adversely affects my aim (this happens in my tennis game too). After several more failed attempts, I finally hit one long drive! While it didn’t quite reach its intended destination, the swing was straight and true. And the whack of that ball sounded like success. By the end of the day, I had earned the right to boast that “I played at Hilton Head” — with an ocean breeze at my back and surrounded by beautiful landscapes. While I didn’t have time to play 18 holes, many folks spend an entire day on the course. Make reservations in the morning and you can cap off a game with dinner and drinks at one of the area’s waterside restaurants. For my first golf lesson, I didn’t opt for professional help — but I will next time. Some of the best golf professionals in the country teach at Hilton Head Island and other popular golf destinations. You can choose classes that help you perfect your technique and improve chipping, pitching and putting. If you can’t make it to Hilton Head just yet, you can find professional golf instruction everywhere from Orlando to Palm Desert. Got the jitters? New golfers will feel less overwhelmed by focusing on learning one task at a time and exercising patience. Once I settled into the game and stopped comparing myself to others, my skills on the green improved. Remember, golf is not a game of perfect!